There was no OnePlus press conference at MWC in Barcelona this year. Nevertheless, we had a chat with Tom Downs, who is responsible for the brand's public relations. He confirmed to us that OnePlus' strategy remains focused on the community, and will continue to put it at the center of everything. Can OnePlus still be trusted? Never Settle. It's OnePlus' motto, what both customers and the company itself expects OnePlus products to live up to. It means that the company doesn't want to fall behind in terms of technology. That's why the recent OnePlus 5T release happened just six months after the OnePlus 5, and before that, the OnePlus 3T. Larger displays and more powerful processors: two good reasons to come out with a new variant. Also, the release of the OnePlus 5T in red and Sandstone White colors was motivated by user requests. It's a shame the latter was sold out so quickly and there's no more planned. If the strategy stays the same, we can expect the OnePlus 6 to arrive between June and July, followed by its 'T' variant of course. It's still to early to discuss it though, so Tom couldn't tell us much about the future flagships. Some images have already been leaked on the web, showing a glass body and a notch on the front. Will this really be the design of the OnePlus 6? OnePlus can still be considered a small company, especially if you compare it to brands like Samsung and Apple. The Chinese manufacturer continues to sell devices and offer support to customers online. Despite this online-only background, OnePlus wants to get its brand and devices in front of customers. It has decided to strengthen its on-the-ground presence through popup stores and events on a monthly basis in some European countries like Italy, but it's unknown whether this will happen often in the US in the future too. There was already a OnePlus X popup event in LA, but the OnePlus 5T didn't see the same treatment in the US despite popups in Europe. At the moment, OnePlus has yet to partner up with any US carriers. OnePlus CEO Pete Lau told CNET that the company will begin talks with US carriers in 2018. If the community asks loudly enough, maybe the extra pressure will help to make a deal happen. For now, users have to go straight to the source online to get their goods though. In November 2015, OnePlus tried to release a mid-range device with the OnePlus X, but it did not go as it was probably planned. That's what is reasonable to think if the brand really changes strategy based on user requests. In any case, the brand has clarified its message: from now on, OnePlus will only produce high-end flagship devices. What will happen with AI for OnePlus smartphones? It's not yet time OnePlus to implement artificial intelligence. Tom Downs pointed out during our chat that the brand does not add new technology to its devices just for the sake of making them more innovative. It does this only when the technology in question is actually ready for use and when the community requires it. When users request AI on their smartphones, and when this technology will really become useful, then OnePlus will consider implementing it. 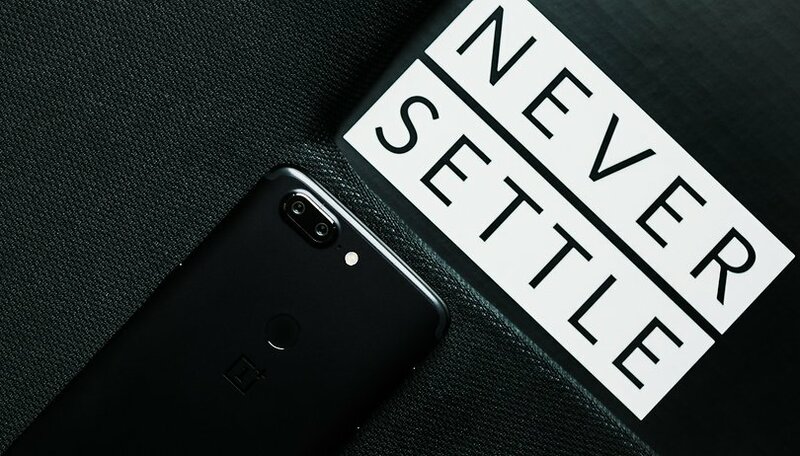 Without a doubt, OnePlus is a brand with a following, even if users are a bit agitated about some of the company's choices when it comes to releasing updates. With fierce competition in the market, like Honor with its View 10, the manufacturer will continue listening and supporting the community to maintain the successes it has achieved thus far. OnePlus (Oppo) lost me after the OnePlus 2... the 810 chip that no one wanted, still over heated. I never bought the 2, had the OnePlus One...first was the "stereo" speakers that turned out to be twin mono, then the yellow screen problem. They claimed it was because they used a warmer temperature, which turned out to be a lie, the bugs in the software even after multiple updates. Out of all of their releases, the 3/3T were the best. The 5/5T, they went backwards on the camera and switched to an electronic stabilization instead of a gyro (hardware) OIS. Cheap company that uses the consumers to beta test upcoming Oppo premium phones. They have to focus on their Community because they can't make penetration in the market anywhere else. i prefer anything that isn't oneplus. all hype. they seldom deliver on their promises. support is the worst in the game. bringing oneplus to any carrier would be detrimental to the applicable carrier, solely because of the atrocious support, or lack thereof.